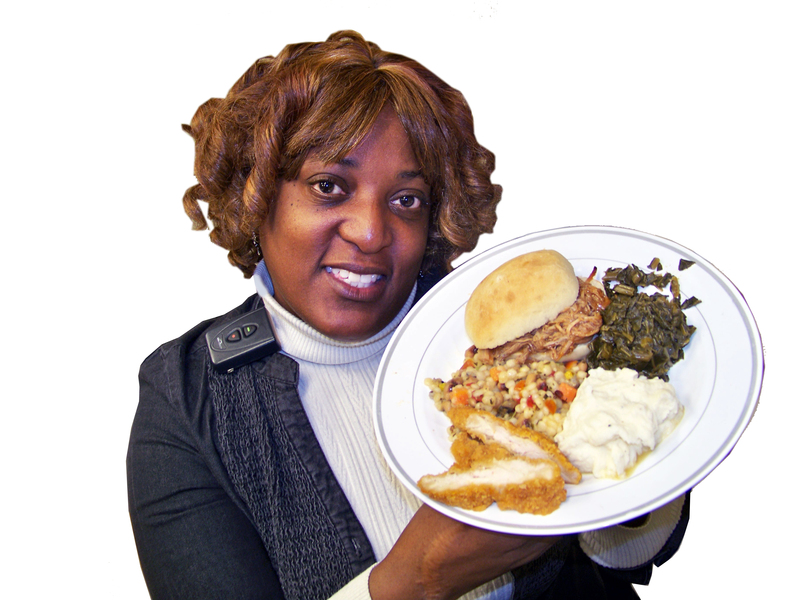 Upstate social worker Chevelle Jones-Moore with the soul food lunch for the Feb. 6 Black History month event. For the second year in a row, Chef Blue (Will Lewis) is catering the soul food luncheon at Upstate’s Black History Month opening ceremony, held the first Wednesday in February in the campus activities building. The free, open-to-the-public lunch includes oven-fried chicken, collard greens, mashed potatoes with cauliflower and hoppin’ john with quinoa. Recipes take testing, and people take convincing…until they try his delicious food. Some of Chef Blue’s get-healthy suggestions: add butternut squash to macaroni and cheese, and cauliflower to mashed potatoes. Most importantly, use herbs and spices –instead of animal fat — to add flavor to your food. This entry was posted in community, entertainment, history, recipe and tagged academic medical center, black history month, health care blog, health care social media, hospital blog, hospital social media, medical blog, soul food, SUNY, syracuse health care, syracuse hospital, university hospital, upstate medical, upstate university. Bookmark the permalink.